Experience sweet calming with Lavender, Bergamot & German (Blue) Chamomile. 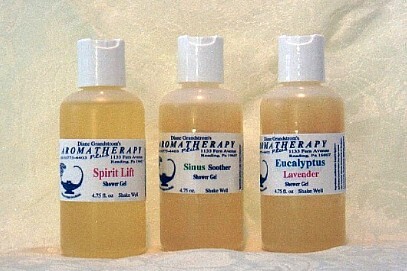 Also available as Body/Massage Oil, Body Lotion, Mysty and an Essential Oil for your Diffuser. Feng Shui practitioners "Clear" negative energy with this blend of Clove & Eucalyptus. Also available as a Body/Massage Oil, Body Lotion, Mysty and an Essential Oil for your Diffuser. Ylang Ylang, Bergamot & Grapefruit make you feel like a goddess and let's him know you already are! Calm the mood; silence the mind; Sandalwood, Mandarin, and Lemon. Clove, Nutmeg, Basil and Rosemary provide a subtle, steady energizing effect for several hours. Also available as a Body/Massage Oil and a Body Lotion. Brings out the fire in your spirit! Ethereal blend of Clove, Bergamot & Lavender. Originally formulated for use by a very special Native American Healer, this combination of Bulgarian Rose, Egyptian Jasmine, Sandalwood, Clary Sage & Ylang may open your heart to the giving & receiving Love. Friends say it even smells like Love! Refresh & energize with Spearmint, Lime, Rosemary, Basil. Sharon's intuitive blend of Clove & Patchouli seems to bring the calming powers of Sedona into one's heart. Helps to ease anger. Peppermint & Eucalyptus. Simply inhale the vapors! Uplifting, balancing. Helps to ease depression. Goes to the heart of the matter. Bergamot, Ylang, Clary Sage. Quickly and quietly helps to reduce feelings of stress. Cypress, Lavender, Patchouli, Clove, and Lemon. Experience sensory delight! Clove, Clary Sage,Patchouli & Orange. Also available as a Body/Massage Oil, Body Lotion, Mysty and an Essential Oil for your Diffuser. Warms and soothes on a cold winter's night. Great for colds and flu!. Bergamot, Lavender, and Eucalyptus. 100% Pure Essential Oils in 2.25 oz. of Exotic Body Wash. Apply directly to skin or sponge, or pour into bath.